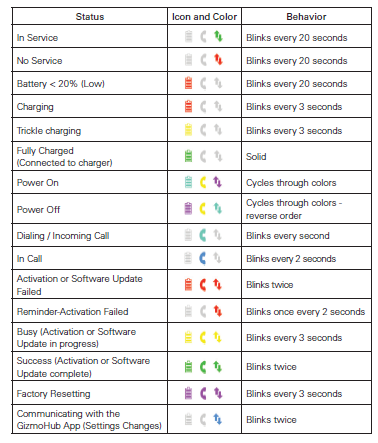 The LG GizmoPal 2 user manual is consisting of 58 pages. It's devided into 11 section. 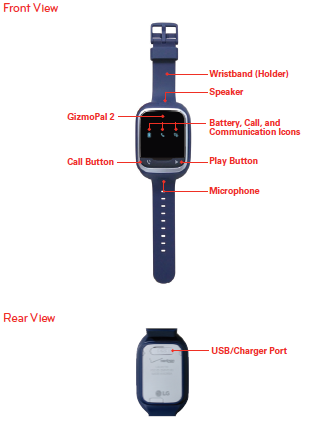 The manual provide reference information such as GizmoPal 2 layout, tutorial Charging the Battery, Turning On and Off, Setting Up a PIN for Security, Making Calls From the GizmoHub App, Using Location Settings, Make Gizmo’s Alarm Ring on page 18, also Troubleshooting on page 23.